We are conducting ongoing screenings of applications. As soon as we determine we have a qualified group of applicants, this position may close quickly and without notice. Under general supervision, performs routine duties associated with the collection, tracking and documenting of property and evidence. Responsible for bar coding and tracking of incoming and outgoing evidence; assures proper book-in procedures. 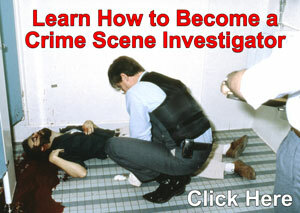 Assists other police staff in evidence collection at crime scenes or during search warrants. Applies proper evidence collection protocol. Assists with the transportation of evidence to and from designated locations. Maintains proper chain of custody in evidence collection. Assists in the disposal of illicit drugs, weapons and other confiscated materials. Maintains files and records documenting property or evidence and conducts inventories. Assists in training of officers on property and evidence procedures. Responds to questions and needs of police personnel and the general public; provides information as appropriate. May testify in court on chain of custody of evidence. May work a varying schedule and/or shift. High school diploma or GED; and supplemental course work in criminal justice or related field; two years' experience in police property and evidence or related work. Clearance to access the Criminal Justice Information System (CJIS) and other law enforcement automated information systems. Valid Colorado driver's license with a safe driving record. Knowledge of the policies, procedures and goals of the City of Thornton and the department. Knowledge of standard operating procedures of a police property evidence program. Knowledge of applicable federal, state, and local laws, codes, and regulations. Knowledge of principles and practices of evidence collection and handling. Knowledge of property evidence record keeping procedures and techniques. Skill in basic report preparation and writing. Skill in operating standard property evidence equipment as assigned. 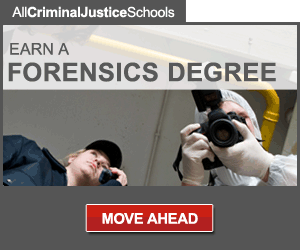 Skill in carefully handling critical or delicate evidence. Ability to follow standard safety practices. Ability to prepare clear and accurate reports. Ability to respond to citizen, departmental, and other agency issues, concerns and needs. Ability to understand and follow directions, and to work independently when required. Ability to establish and maintain effective working relationships with employees, other police agencies and the general public. While performing the duties of this job, the employee is regularly required to balance, sit, stand, reach, walk on level and slippery surfaces, stoop, kneel, crouch, demonstrate manual dexterity, grasp, talk, hear, and see. The employee may be required to lift and/or carry equipment and supplies weighing 50 pounds or more; may work at crime scenes in wet, hot or cold weather conditions.